Alkal-LIfe 7000sL filters and ionizes water to keep you hydrated. Ensuring proper hydration with a pH-balanced water means you will enjoy regulated mood and energy levels and clarity of mind. 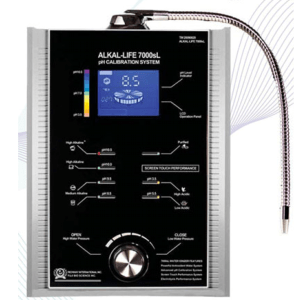 The Alkal-life water helps to boost your Biomat treatments with the benefits of alkaline water. Turn tap water into an alkaline healing elixir with the Alka-life’s 6 stage carbon based filtration and electrolysis design. 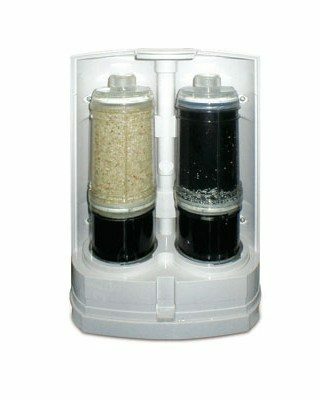 Eliminate contaminants commonly found in tap water. 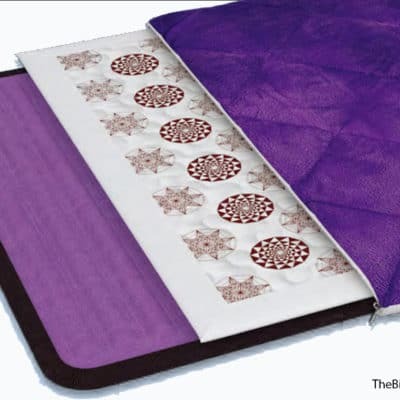 The Alkal-LIfe system removes chlorine and other pollutants, leaving a clean, crisp taste. Reduce your environmental impact and eliminate the risks associated with bottled water by installing the Alkal-LIfe system directly into faucet. The Alka-life 7000sl uses a carbon filtration system with 6 layers of high-tech filters and an advanced electrolysis design that generates alkaline water. Alkaline water offers easier, faster and more effective hydration, improved cellular absorption, improved pH levels, detoxification benefits and improvement in energy. Many people have reported a reduction in aging related symptoms. The antioxidant properties of Alkal-LIfe water eliminate the unstable oxygen particles, or free radicals. Why is this important? Because, much like a cut apple changing color, free radicals essentially oxidize surfaces within your body, leading to premature aging and even illness and cancer. Antioxidants help to reverse this process by removing the excess electrons from the cells’ surfaces. Alkal-LIfe will help slow, or even prevent oxidization by ridding your body of damaging free radicals. Alkalizing is in the Alkal-LIfe name – so why is alikalization important? Daily life throws our body’s pH balance off. External factors such as stress, pollution, and unhealthy diet that comes with a busy lifestyle contribute to increase acidity. Drinking alkalized water helps to maintain a healthy pH level (ideally between 7.35 and 7.45). Alkal-LIfe detoxifies and cleans the colon. Many delicious foods that we eat every day contribute to a mucus that coats the walls of the colon. Process or refined foods, animal proteins and dairy products, as well as saturated fats and alcohol all contribute to this harmful plaque. Eliminating this mucus layer and allowing the the colon to perform properly is as easy as introducing alkalizing elements into your everyday life. Alkal-LIfe is the easiest – and most delicious way – to kickstart your detoxification process. Ionized water is more accessible to your body. This is because the Alkal-LIfe ionization process breaks down the water particles into many smaller components. Because they are smaller and more plentiful, they are able to more easily penetrate the cell walls throughout your body. When you make the switch to Alkal-LIfe you’ll notice you feel thirsty less often as you are more fully hydrated and energized. Alkal-LIfe alkalized water is the perfect ingredient to promote overall wellness and good health. Because the alkalized water molecules are more easily introduced to the body, your body will be more able to absorb important minerals and vitamins. You get the most out of your water and your food. The signs of aging are all too familiar – wrinkles, sagging skin, gray hair are all indications of a buildup of acidic toxins deep within the body. These toxins are introduced from our food and environment, and even stress if our day-to-day lives. Alkal-LIfe water is alkaline and antioxidant-rich, which helps clear the body of the accumulated waste. Drink Alkal-LIfe water every day and notice the difference. Because Alkal-LIfe water reaches your body’s cells so much more easily than regular tap water, or even filtered water, you may notice an increase of overall day-to-day energy as a result of making the switch. A well-hydrated body works better; digestion, elevated moods, even boosted metabolism can all occur when the body is no longer thirsty. In addition, Alkal-LIfe water may lead to increased mental clarity and focus. More than 20 billion pounds of plastic waste finds its way into our oceans annually. In addition to the enormous waste that bottled water contributes to, the fabrication of the bottles uses 17 million barrels of oil per year, and uncountable amounts of water. When you purchase an Alkal-LIfe 700sL you are saying no to excess pollution and waste. Alkal-LIfe easily connects to any regular faucet. You have immediate access to the cleanest, most vital water source right at your fingertips.